This was my first try at making Chili without using a Clubhouse seasoning package and it actually took no extra time. Initially I was afraid of how the flavours would come out, but it ended up being quite tasty. 1. Heat 1 tbsp. canola oil in a skillet and crumble in ground turkey. Cook till brown, drain fat. 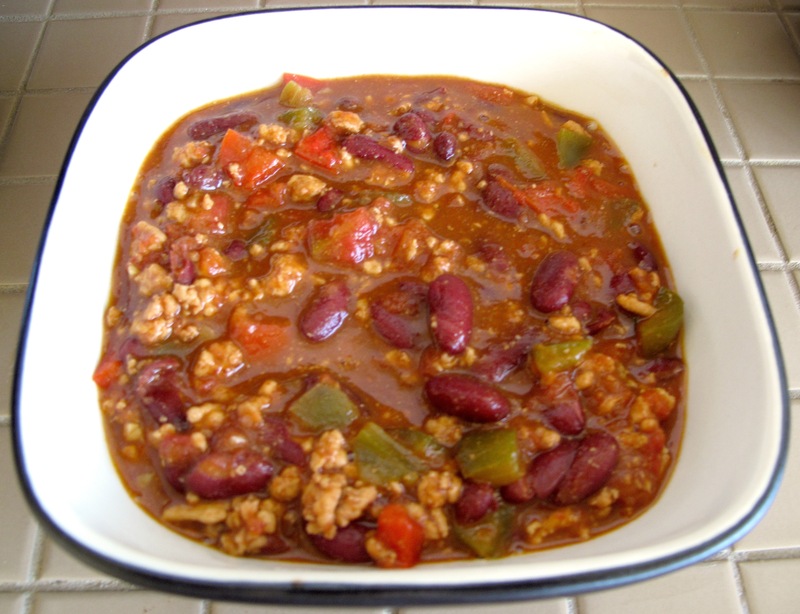 This entry was posted in Mains, Slow Cooker, Turkey and tagged beans, chili, crock pot, Recipes, slow cooker, turkey by Karina. Bookmark the permalink.